Timing is everything, and that is especially true when it comes to getting your taxes filed on time. 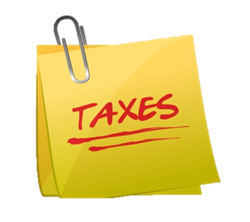 Late filing can result in penalties and fees, which are completely avoidable with a little planning and preparation. The first step is to know your filing deadlines for the coming year. We have listed the most important filing dates for this year below. Your next step is to contact your tax accountant to learn when you should have all of your documentation ready. Putting everything off until the last minute is not the best way to ensure your tax return will receive all of the attention and care it deserves! While long-term tax planning is essential, it also pays to take care of things in a timely manner for the short-term. Have a question? Need help filing your taxes? Wondering what you’ll need to file? Call Gray, Gray & Gray’s Tax Department at (781) 407-0300. This entry was posted in Accounting, Tax, Taxes. Bookmark the permalink.